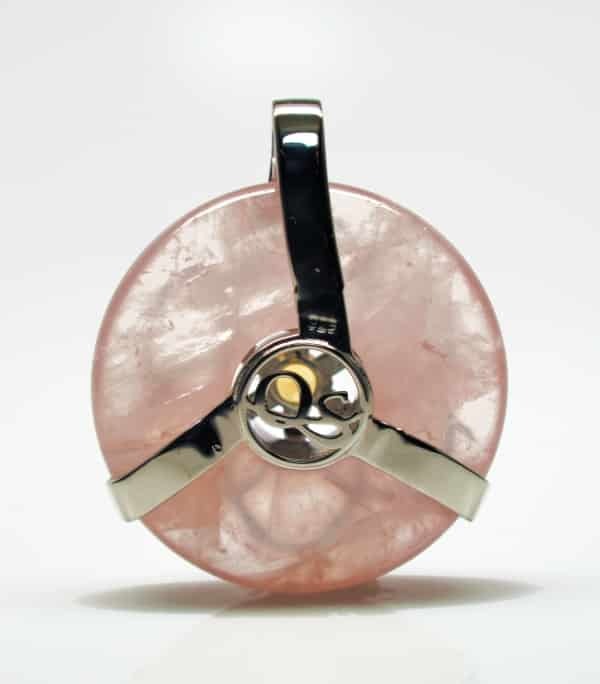 Rose quartz energizes and soothes matters of the love and past trauma by awakening the Heart and Throat Chakras. This superior meditation stone enhances ones ability to give and receive unconditional love, find peace, and remain calm in times of crisis. The addition of a lovely lavender amethyst to this Seed of Life amulet helps users access higher realms and insights through activation of the 3rd Eye and Crown Chakras. 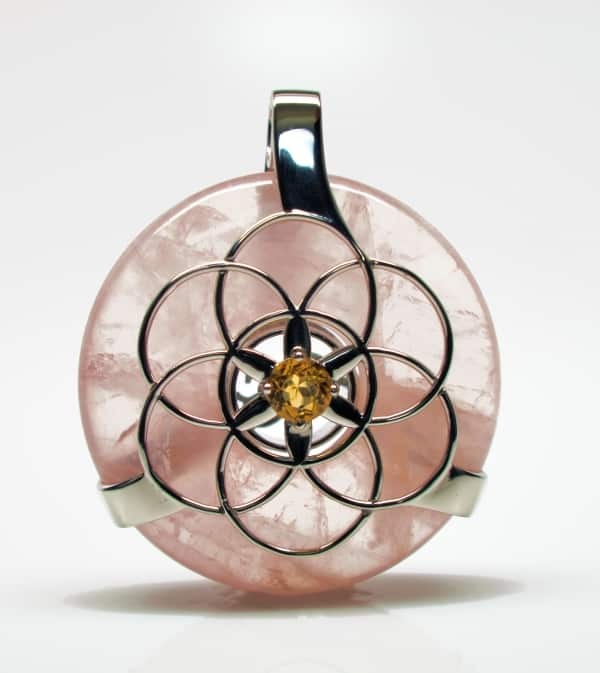 Together this healing crystal combination is a powerful healing tool for those struggling to let go of past issues and find healthy, loving relationships. CITRINE: This grounding and centering gem balances Yin Yang energies and promotes creativity, focus, and problem solving abilities. Citrine activates the solar plexus chakra, bringing one more comfort following their ‘gut’ instincts while stimulating open mindedness.